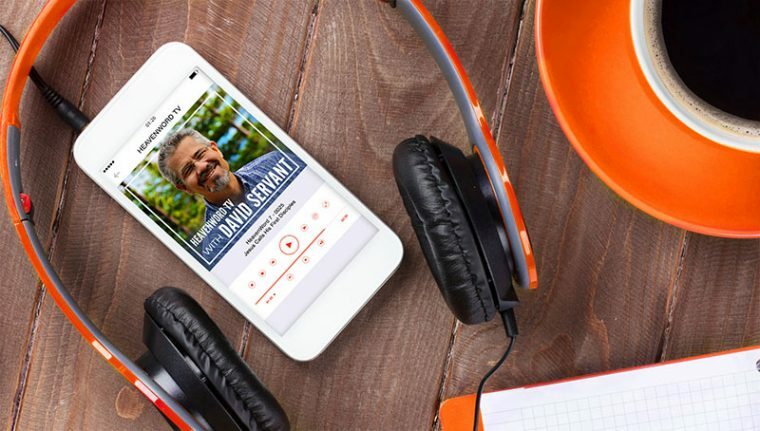 Join David Servant in this 7-minute, weekday video series as he begins to teach chronologically through the New Testament, verse-by-verse. You are sure to appreciate David’s balanced, yet non-compromising teaching of God’s Word. And you’ll gain new insights that will help you as you follow our Lord Jesus. Watch episodes on-demand or subscribe for free! Day 0010 What Happened to John the Baptist’s Gospel? Day 0022 Should We Become Like Jesus? Day 0028 Who Are the Blessed? Day 0038 Greater or Lesser in God’s Kingdom? Day 0043 What’s the Most Important? Day 0047 Pluck Out Your Eye? Day 0049 The “Certificate of Divorce”? Day 0062 Hate Your Enemy? Day 0120 Did Jesus Bear Our Sicknesses? Day 0121 Healing in the Atonement? Day 0122 Healing in the Gospel? Day 0123 What is the “Full Gospel”? Day 0130 Two Demoniacs or One? Day 0134 What is the Abyss? Day 0144 Who Can Forgive Sins But God? Day 0155 Who Touched Me? Day 0158 Do You Believe? Day 0164 Divine Ethnic Favoritism? Day 0187 God Blesses the Violent? Day 0239 What Were You Sinking? Day 0299 Divorice: The Unpardonable Sin? Day 0313 What Must We do to Obtain Eternal Life? Day 0315 Sheep or Rich Young Goat? Day 0319 Salvation by Works? Day 0325 Is Grace Unjust? Day 0331 Did Jesus Heal One or Two Blind Beggars? Day 0333 Can God See Your Faith? Day 0337 Angry Outburst or Righteous Indignation? Day 0340 Fig Tree Mysteries Explained! Day 0349 Calvinists, Look at this Context! Day 0361 The Pharisees Exposed! Day 0365 How Can Someone Eat a House? Day 0367 Is All Sin the Same in God’s Eyes? Day 0371 Signs of What? Day 0385 When is the Rapture? Day 0386 Will Jesus Return Twice? Day 0388 Surrounding Armies or Abomination of Desolation? Day 0397 Unconditional Eternal Security? Day 0398 Who is That One-Talent Guy? Day 0401 Our Standard or God’s? Day 0409 Annihilation: An Eternal Punishment? Day 0411 Does “Eternal Life” Mean “Living Forever”? Day 0412 A Year’s Wages Down the Drain? Day 0413 Egotist or God? Day 0414 A Different Story? Day 0418 Can’t God Just Forgive? Day 0431 How Did Judas Die? Day 0443 My God, My God, Why Have You Forsaken Me? Day 0447 Truly This Was the Son of God! Day 0457 A Big Sunday Night Appearance? Day 0458 And How Did the Fish Get Out of the Room? Day 0459 Why is This Verse Ignored? Day 0467 Do You Love Me More Than These? Day 0474 Why the Power? Day 0478 Matthias, God’s Choice or Man’s? Day 0479 How Do You Find God’s Will? Day 0484 Empowered for What? Day 0489 What Should We Do? Day 0494 Can True Church Life be Organized? Day 0502 What Are the “Times of Refreshing”? Day 0508 Had God Forgotten? Day 0510 Why the Devil? Day 0512 God Can Make You Bolder! Day 0515 Giving to the Rich? Day 0516 $500,000 Non-Profit Salaries? Day 0530 Who are the Worthy Widows? Day 0537 Why Did God Allow Stephen’s Martyrdom? Day 0550 When God Clobbered Saul, He Was Thinking of You! Day 0554 What Ever Happened to the Fear of the Lord? Day 0563 Who is Welcome to God? Day 0568 Why James Now? Day 0576 What Happens When We Sin? Day 0581 Think You Are Spiritual? Day 0587 Faith Without Mercy? Day 0595 Was Paul Purely a “Faith Man”? Day 0600 What’s in Your Heart? Day 0606 Murderers in the Church? Day 0613 A Rebuke for Abraham? Day 0621 Is Anyone Among You Sick? Day 0642 Did Miracles Cease When the New Testament was Completed? Day 0668 Paul a Gossip? Day 0677 Who are the Sons of Abraham? Day 0688 Is Paul’s Letter to the Galatians Even Relevant? Day 0689 Why the Law of Moses? Day 0694 Paul Preached Because of a Bodily Illness? Day 0699 Christ Has Set Us Free from What? Day 0701 Is it Possible to Fall from Grace? Day 0706 You are in a War! Day 0707 Is There a Magic Formula to be Holy? Day 0724 Paul the Hypocrite? Day 0725 Forbidden by the Spirit to Preach the Gospel? Day 0729 What Must I do to be Saved? Day 0750 What Was Important to Paul? Day 0757 Where are Dead Christians? Day 0759 Rapture Before Antichrist? Day 0765 Give Thanks for Everything? Day 0772 Obey the Gospel? Day 0777 Who Now Restrains the Antichrist? Day 0779 Why Doesn’t God Do More to Convince Unbelievers? Day 0783 Should We Care For All the Poor?